A new bottle shop has opened in “T-Town” and boy is it a beauty! 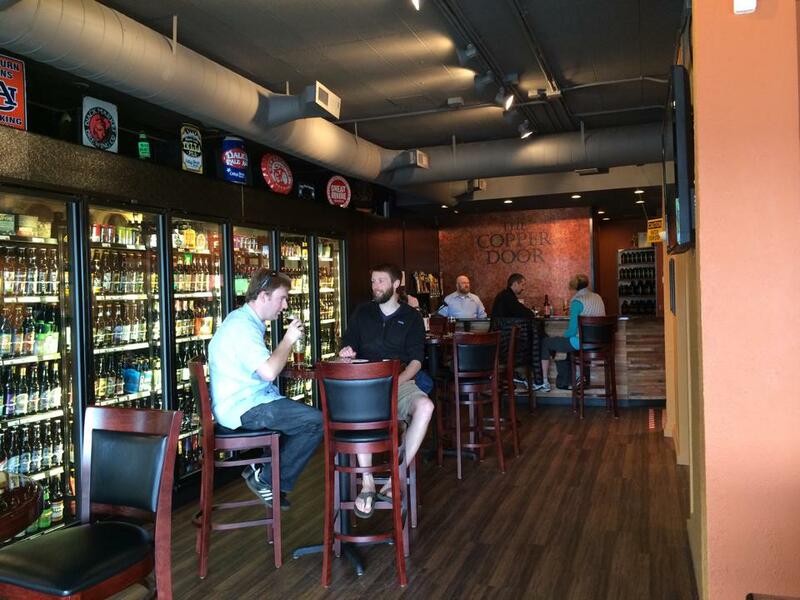 The Copper Door is more than your average bottle shop. Cozy in appearance and feel, there are approximately 550 American craft beers and a sprinkling of a few European beers fill the large coolers that stretch along the wall. Not only can you pick up a 220z, but there is no currently no corkage fee if you want to drink your purchase there. Pub tables and chairs, couches, and a side room are open for anyone to come in and enjoy a pint and there are 16 rotating taps behind the bar. YES! I said a bar! The decor is simple, warm and elegant. The beer selection is great and the prices are very reasonable. The Copper Door is open 7 days a week but check their website for hours. One can easily spends a few hours here.